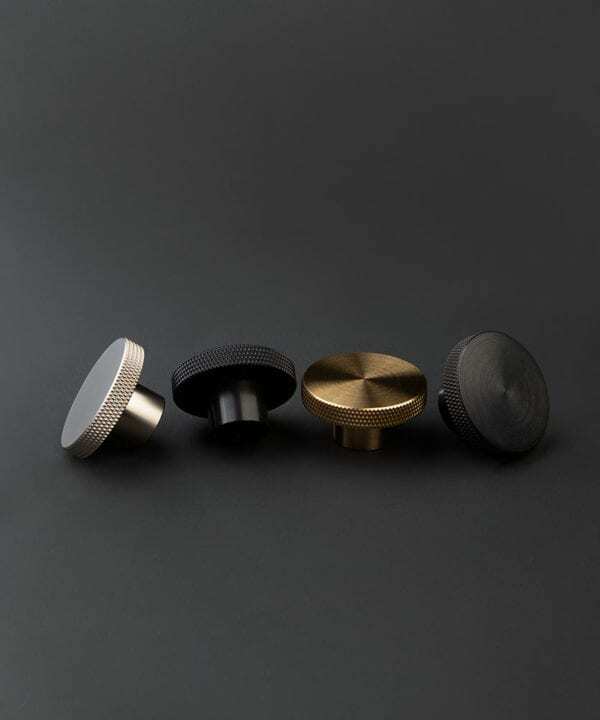 Our AVANT-GARDE kitchen drawer knobs are beautifully bijou knobs perfect for smaller drawers and cupboard doors. 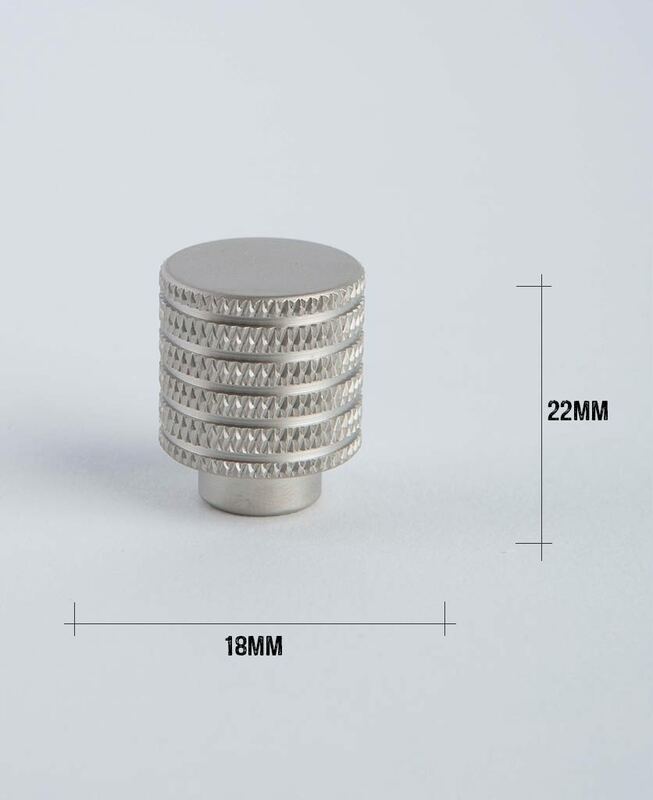 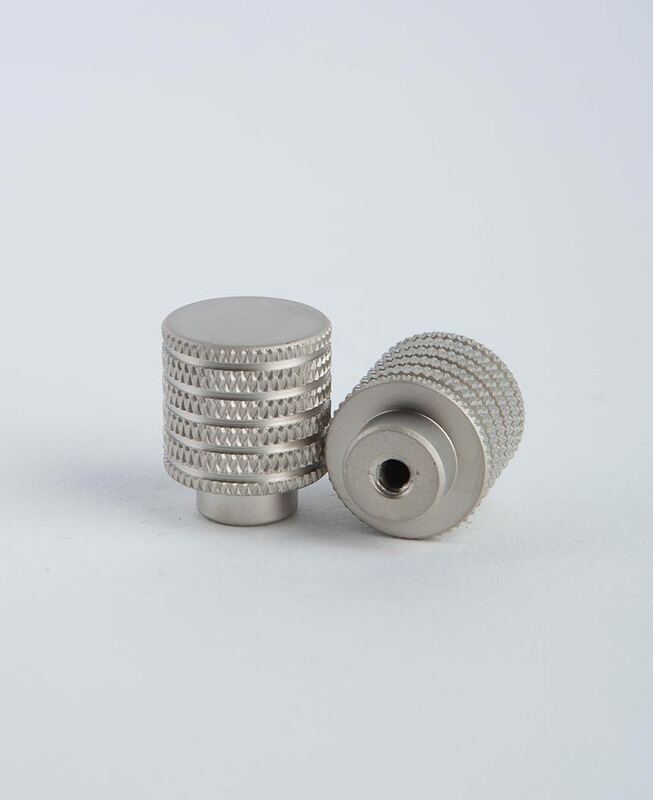 This cylindrical, solid metal knob has a knurled pattern around its outer edge and grooves too. 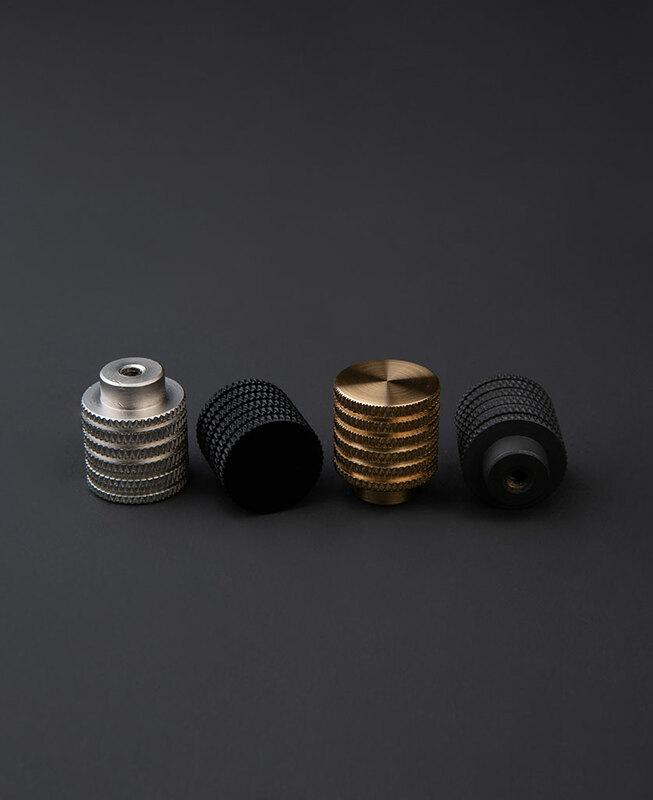 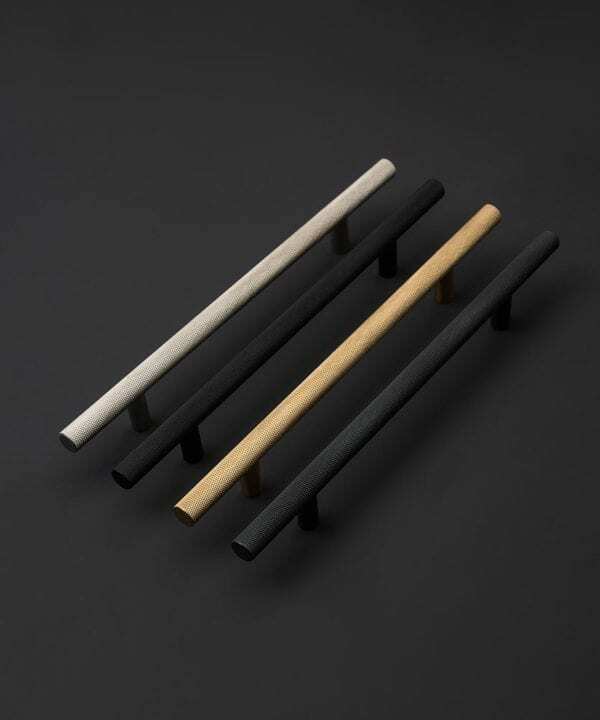 Our solid metal AVANT-GARDE kitchen drawer knobs have very cool looking knurled and grooved edges. 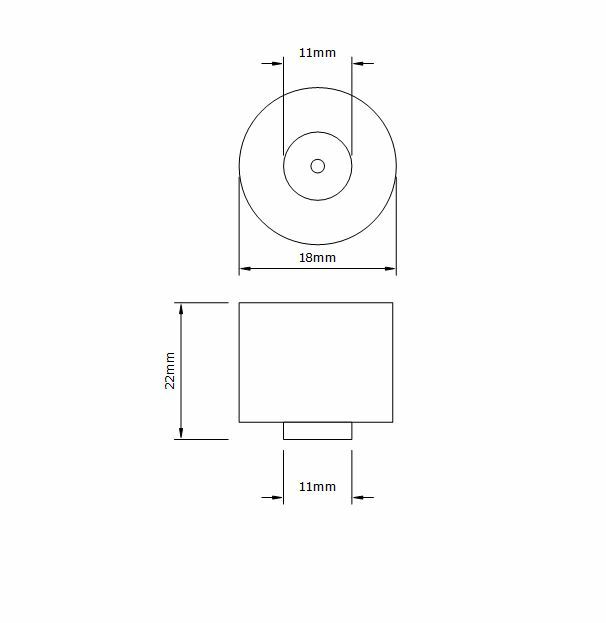 We initially experimented with this design on our 3D printer (well James did) and we all liked it so much it made it to the short list. 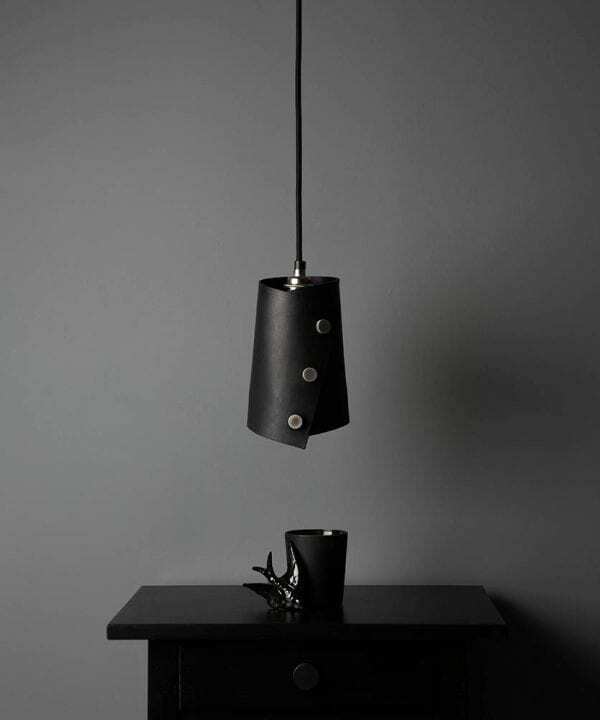 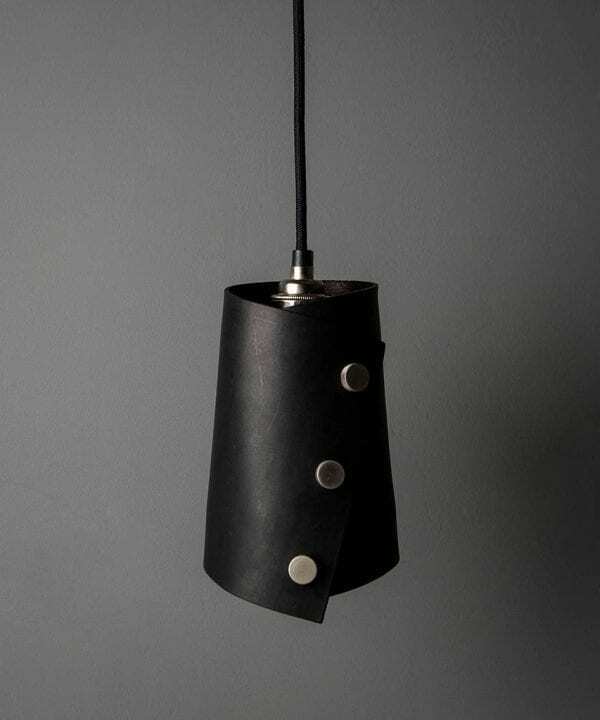 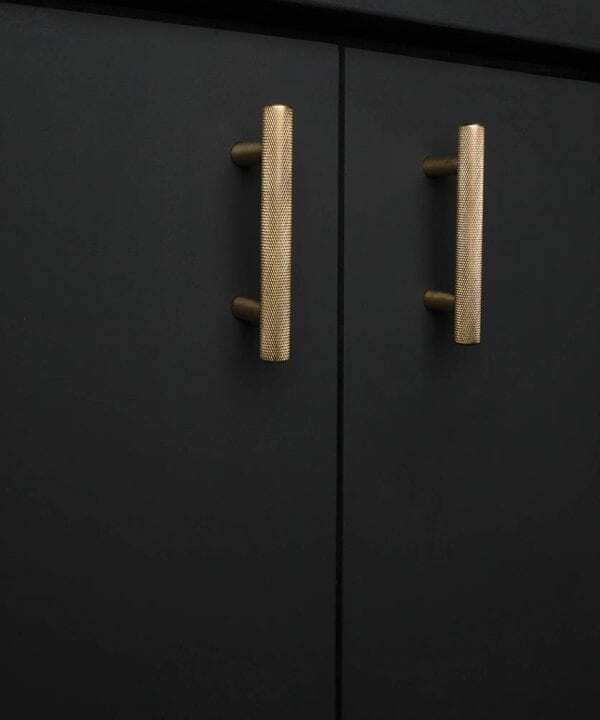 Avant-garde is a compact kitchen cupboard knob with perfect proportions. 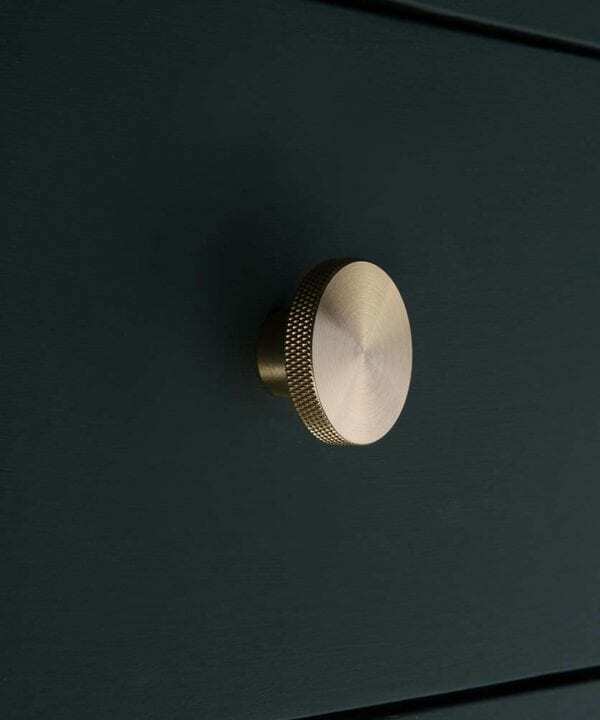 It’s great if you want a discreet knob for your cabinet or drawers but do still want to make a little style statement with your finishing touches. 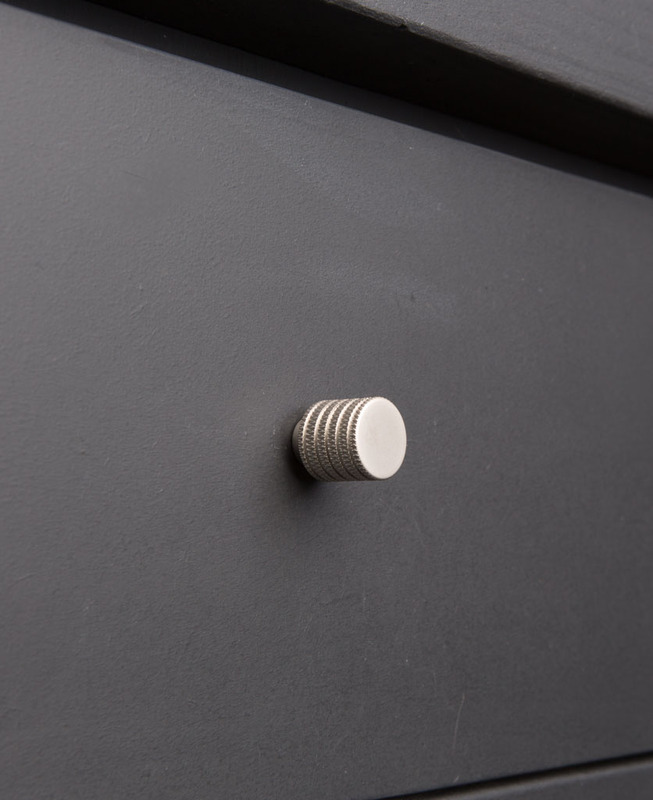 This is the kind of furniture knob that doesn’t make a huge song and dance about its existence but is just a really cool detail. 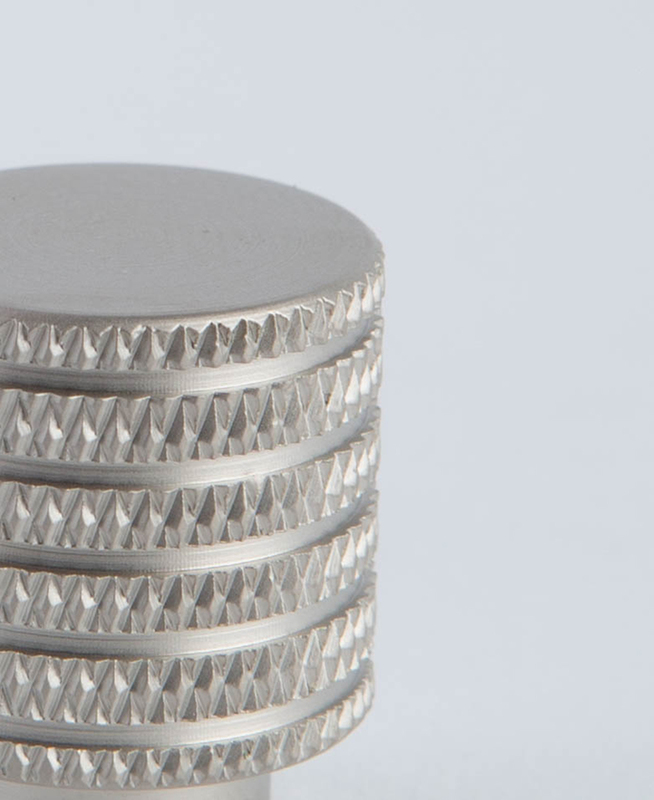 The knurling detail not only looks great but also feels great when you grab hold of it.